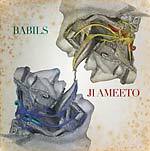 This is Brussels-based quintet Babils' first official album. The Joint Between could be compared to elephants running in a chaotic urban landscape. It's a massive hour of psychedelic influences and disturbed layers of UFO guitars, dreamy bass lines, distorted trumpets and repeated drums. Some addicted audience to the Belgian scene will recognize the Babils founder and multi-instrumentalist Gabriel Séverin (aka Silksaw), who has released many projects on notorious labels such as Sub Rosa and Ant-Zen. Some others will simply fall, head-first, into these dynamic and unforgettable rivers of steady melodies. The Joint Between is heavy and dense, loud and hypnotic, but in the end it is a must-have for everyone willing to take extended journeys into their own brightest thoughts. This is infinite, tripped-out heaviness. 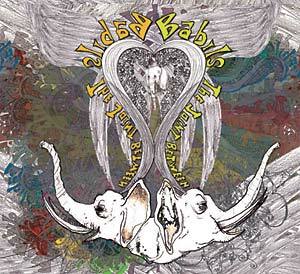 Babils include: Michel Duyck (UFO guitars), Etienne Vernaeve (drums, little objects), Patrick Bellefroid (bass, guitar), Lukas Vangheluwe (trumpet, percussions) and Gabriel Séverin (voices, keyboards and others).